Ofcom confirms UK 4G timetable: new 4G services set for May/June 2013 | What Hi-Fi? Ofcom has confirmed the timetable for the roll out of 4G in the UK, with the next wave of 4G mobile networks set to go live for customers in May/June 2013. All submissions from prospective bidders will have to be in by December 11th, with the spectrum set to be auctioned with a reserve price set at a massive £1.3 billion. 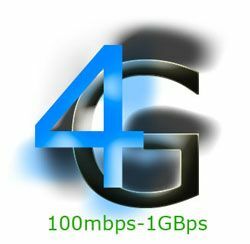 The 4G auction is for the 800MHz and 2.6GHz networks, with new mobile networks set to join the only existing 4G network in the UK, launched by EE last month in 10 cities across the country. The 4G UK auction will start with all interested parties submitting their applications to Ofcom with an initial deposit in December. The provisional deadline date is set at December 11th. Applications will then be reviewed by Ofcom in December before bidding begins in January, 'over secure internet connections, using software that has been developed specifically for the auction', says Ofcom. This could take 'a number of weeks', after which, in February/March, the winning bidders will be informed that they have won and the final costs. Once paid, the shiny new 4G licenses will be issued. Ofcom then expects the new 4G mobile networks to go live in May/June, finally giving EE some competition in the UK. EE was criticised by many when it announced its 4G contract prices, so it will be interesting to see how the next batch of 4G prices compares.